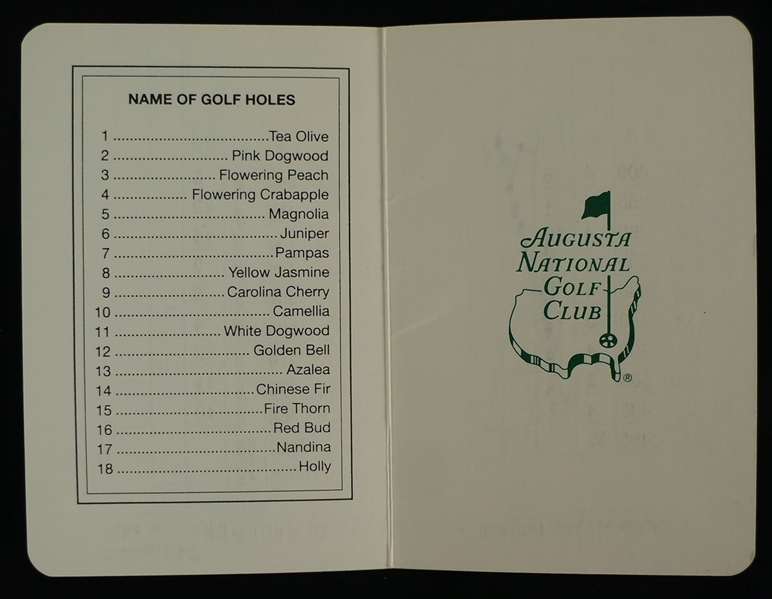 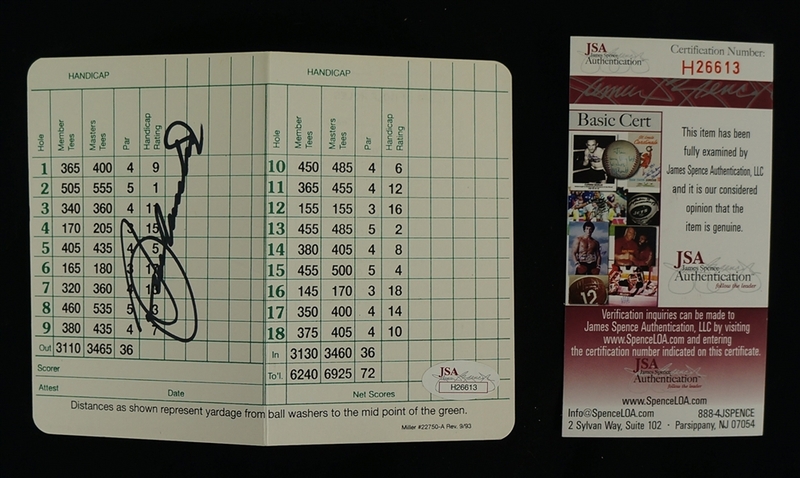 This lot features a Augusta National "Masters" scorecard signed boldly by the late Seve Ballesteros in black marker. 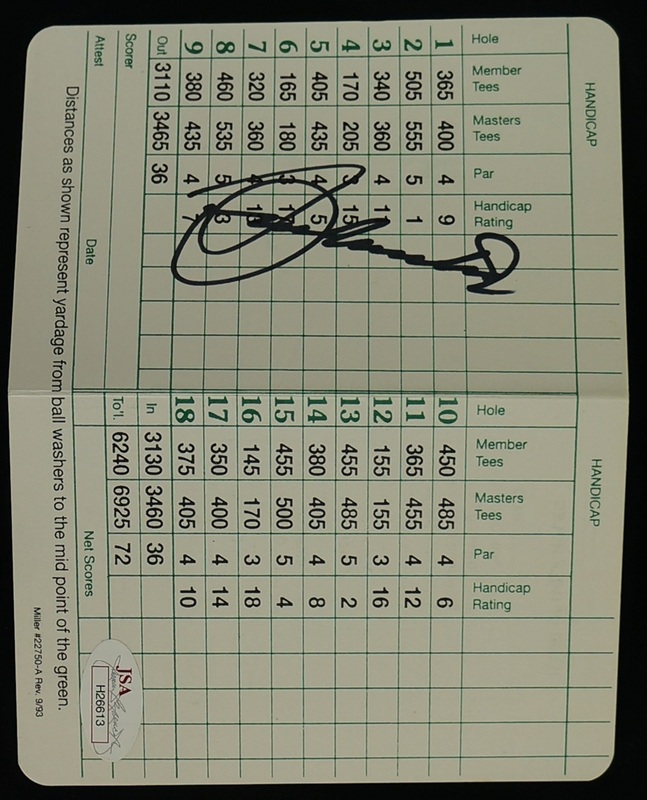 Ballesteros passed away back in 2007 at the age of only 54, way too young. 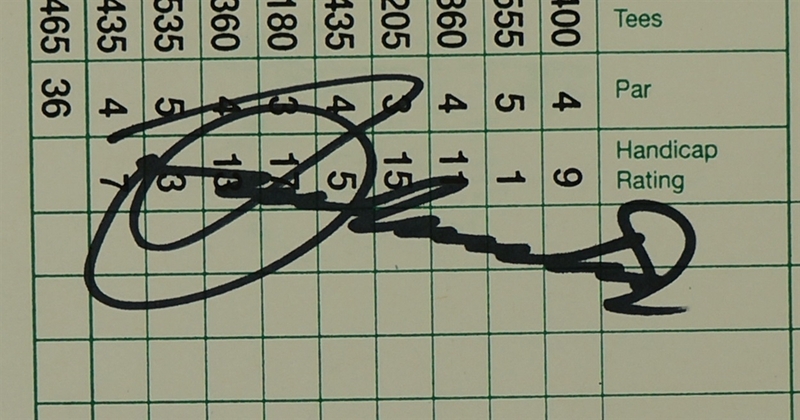 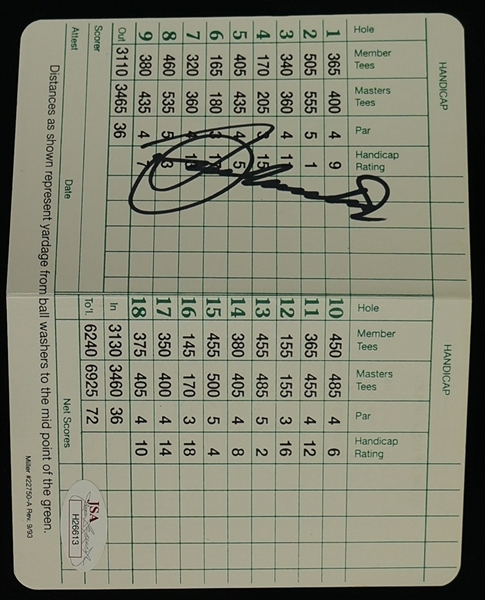 His signature is among the most desirable and coveted in golf. Seve won 2 Masters Green Jackets and 3 British Open Championships among his 91 professional victories.